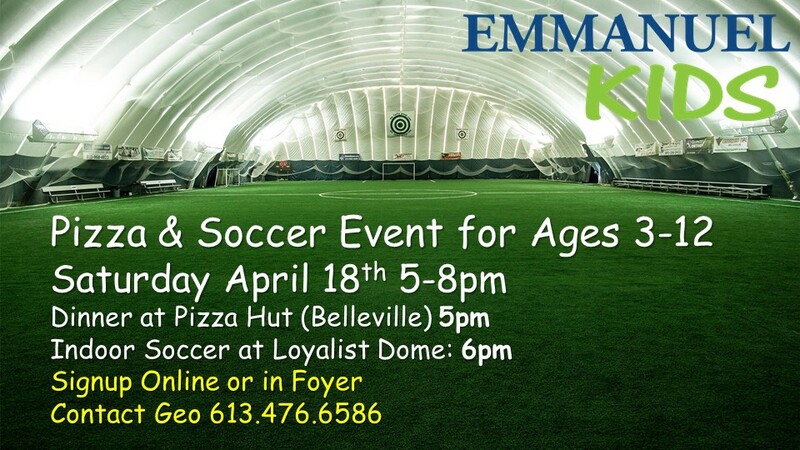 SIgnup for our Ekids Pizza and Indoor Soccer Event! Saturday April 27th. It starts at Pizza Hut in Belleville at 5pm for Dinner (Free to any who come), and then Indoor Soccer at the Loyalist Dome starting at 6pm (Free to any who attend). Sign up in our church foyer or online below! if you have any questions, contact Geo at 613 476 6568.